So, will you be bringing Fido to the office on June 22nd for TYDTWDay? If you’re undecided, that’s totally understandable. There are many factors to consider when deciding whether to bring your dog to work with you or leave them at home. In this article, we’ll look at some of the top reasons why you should and shouldn’t bring your dog to work. If you know you definitely want to bring your dog to work but your boss or coworkers aren’t convinced, we’ll go over some statistics about pet-friendly workplaces and how dogs could enrich the work atmosphere for everyone. 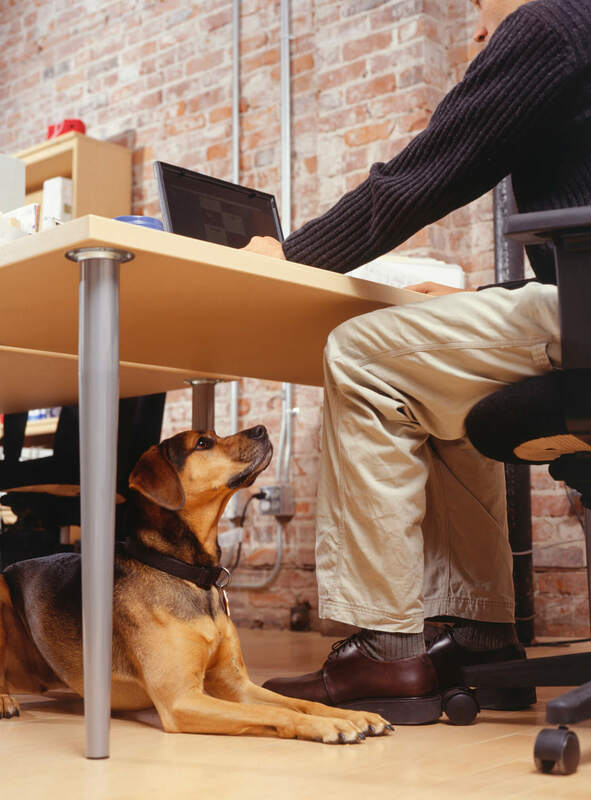 What are the Benefits of Allowing Pets at Work? For dog lovers, it’s a well-known fact that canine companionship makes everything better. Why wouldn’t that apply to the workplace? A more active, productive workplace — More walks and more fresh air add up to increased productivity and better moods around the office. Less stress — From decreasing blood pressure and lowering cortisol levels to fulfilling our need for touch and laughter, dogs help us chill out and take things as they come. Healthy relationships and camaraderie among employees — In other words, dogs are the ultimate icebreaker. 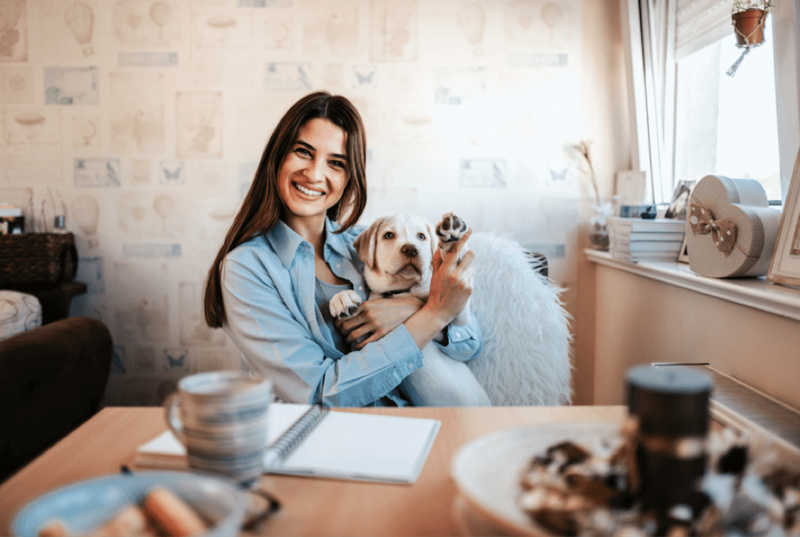 Higher employee retainment — The ability to bring pets to work is one of the highest-ranked work benefits among surveyed employees, right up there with healthcare, and a great reason to stay at a job. Dogs are just fun to be around and have a tendency to lighten the mood. 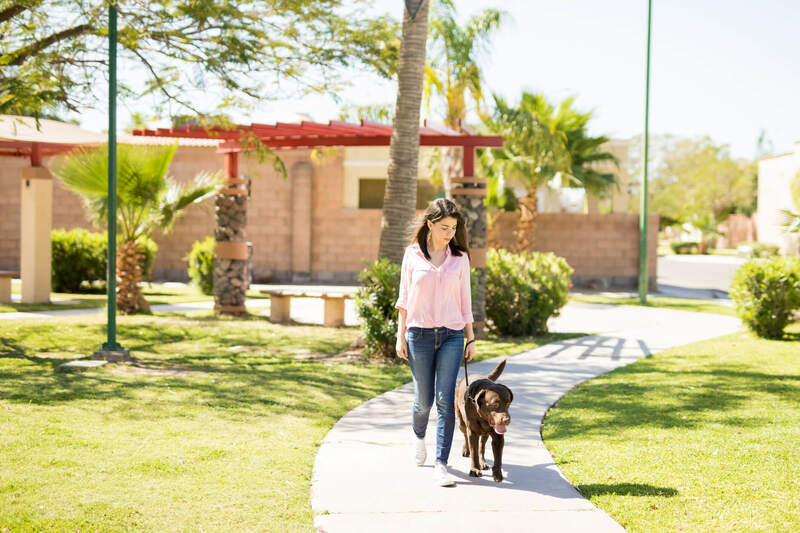 Don’t stress about that pressing delivery issue — take the pup out for a quick walk around the block to clear your head for better problem-solving. Despite the many benefits of allowing dogs in the workplace, there’s a time and place for everything, and there may be instances in which bringing dogs to work isn’t the best idea. First, it’s important to remember that for a “pets-at-work” program to be successful, everyone involved must be onboard. That means your coworkers at every level of the company must sign off on the privilege of bringing your dog into the office. And yes, bringing your dog to work is a privilege, not a right. Everyone has a different relationship with animals, and regardless of one’s reasons for liking or disliking dogs, it’s important to honor your coworker’s wishes. Pet allergies are one of the main reasons not to bring pets to work. While keeping your dogs clean and well-groomed goes a long way to reduce the potential for stirring up allergies, you may have coworkers with extreme sensitivity. One potential solution to the issue of allergies is to establish “pet-free” zones in the office, but again, this has to work for everyone. If your company owns the building that houses the business, as long as your boss and coworkers agree to allow pets in the office, you’re good. However, many businesses rent space instead of own, and as a result, have to respect the wishes and rules of a landlord. Some landlords may welcome pets into their building with open arms while others may not want to hassle with potential risks. Go into any discussions with an open mind and be ready to communicate the many benefits of allowing pets. You should also be ready to negotiate and recommend implementing a waiver of liability that participating employees have to sign, freeing the landlord from any responsibility associated with pets on their property. Purina, the pet food producer known for their generous pets-at-work policy for employees, offers up the waiver of liability they use to help other business’ lawyers create the appropriate legal documentation. No matter how hard it is to admit, dogs can be serious, and potentially dangerous distractions. While most dog-friendly companies see an increase in productivity with dogs allowed, certain dogs aren’t as well-suited for office life and can be a big deterrent to getting work done. Even if dogs are allowed at work, some self-regulation is in order on behalf of the dog owners. Be honest with yourself: if you think bringing your rowdy pup to work will distract you or your co-workers, it’s best to leave them at home. Roughly 7% of employers in the U.S. allow pets in the workplace according to a 2016 survey published by the Society for Human Resource Management. 88% of employees surveyed in a 2016 survey by Banfield Pet Hospital report experiencing a boost in office morale with dogs at work. Banfield Pet Hospital’s 2017 PAWrometer Pet-Friendly Workplace Survey reveals that “Seventy-three percent of employees would be more likely to accept a job offer from a company with pet-related benefits other than allowing pets at work,” i. e. general pet-related PTO, pet health insurance, etc. For some lucky dog owners who work at pet-friendly jobs, every day is Take Your Dog to Work Day! For the rest of us, however, we still get to look forward to one glorious day every year when our furry cubicle companions get to suit up to make the daily commute! If you are participating in TYDTWDay this year, we’ll leave you with a few quick tips to make the day a success. Bring all your dog’s essentials — Food, bowls, a bed, chew toys, treats, and anything else your dog will need throughout the day. Spend time working on basic obedience before going to work — Well-behaved dogs are the essential ingredient to successfully allowing dogs in the workplace. Make sure your dog knows how to sit, stay, lay down, and is generally respectful of other dogs and people. This takes some work on your end, but the bond you form with your pup is so worth it! If you don’t have time to train, seek the help of a qualified dog trainer. Only bring your dog to work if they’re healthy and up-to-date on vaccines — Schedule a visit to the vet just to make sure your pup’s health checks out and get any shots or flea treatments needed. Make a plan with your employer and coworkers so everyone knows what to expect and how to behave — Bring everyone together for a meeting to go over the logistics of Take Your Dog to Work Day. Draft some guidelines and rules to follow and have everyone sign off. Legal documents may be needed — best to leave that to the pros! Who knows? 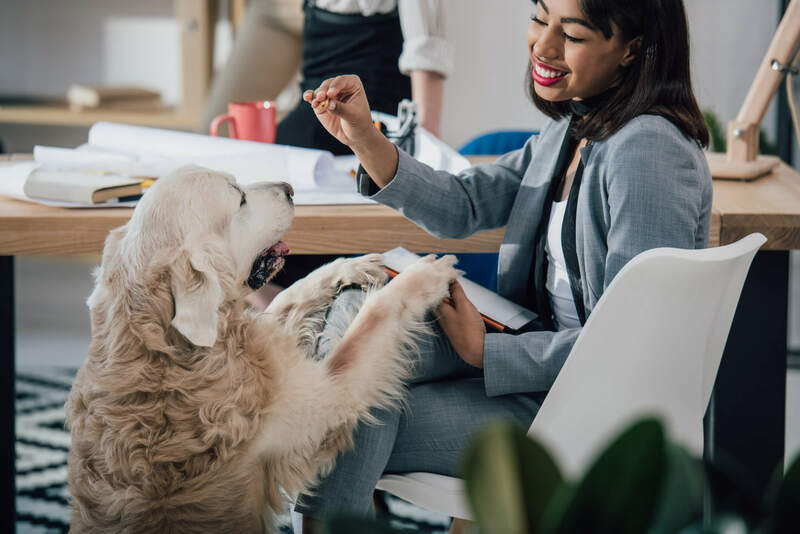 If all goes well and your boss gets to witness firsthand the benefits of allowing pets at work, you might be well on your way to a pet-friendly workplace of your own. To learn more about Take Your Dog to Work Day and available charitable opportunities surrounding the event, head to the hosting organization’s website, PetSit.com, to get all the details. And if you need help getting your dog from home to work and back, Travall is here to help! Check out our full line of pet-friendly vehicle accessories and we hope you have a great TYDTWDay!